Ethan is confused about more than just his sexuality the night he wanders into a white-trash bar after breaking up with his fiance. When he's dragged outside the bar and beaten by leather-clad thugs, he's rescued by the last man he needs in his life. Raw, dominating, and dangerously unpredictable, this dark stranger won't even tell Ethan his name. 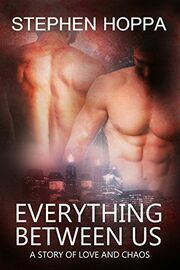 The enigma only draws Ethan in more as he finds himself unable to resist this man or the power he holds over him. Secrets are slowly uncovered. The bond between the two men deepens as scars of the past reveal themselves. But Ethan finds he's learning more about himself than he ever imagined as a new word finds it's way onto his lips: submission.